As the band hit the stage at 10:30pm that night, their songs — full of lush guitars, driving drumbeats and sometimes haunting other times upbeat lyrics — were impressive. 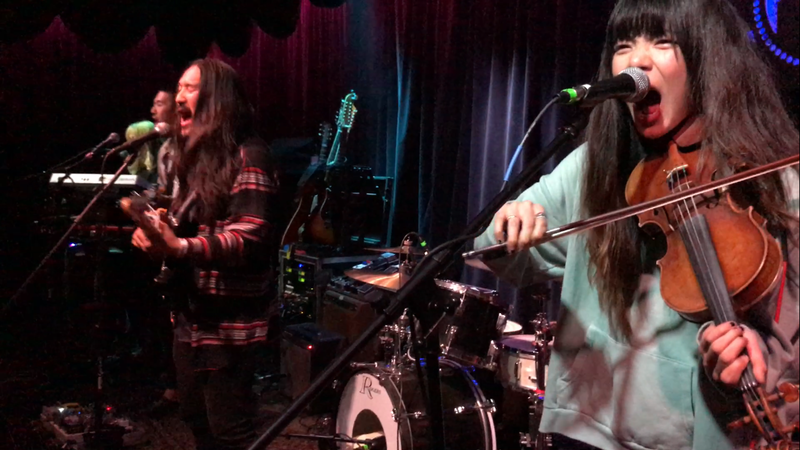 Hwang even joked about being an all-Asian band saying, “We’re not brothers and sisters” and let his hair down joking, “Hi this is Steve Aoki’s Side Project” — a nod to the several BottleRockers who complimented his DJ stuff earlier in the day. Run River North's Superstition EP  (2017) and Drinking from a Salt Pond  (2016) is available for purchase. Keep up with the band at runrivernorth.com. What a fantastic article that I can relate to so much! Before I read your article, I was “getting to know” the band while watching vids of their live performances. I was totally captivated by the lead singer, drummer, and harmonizing vocals. But I admit I was very much impressed by the drummer’s energy. I instantly thought ‘Walk the Moon’ meets ‘Milo Greene’ but with a super energetic drummer. Then I saw your IG vid and was like, what happened to the drummer?!? I had been completely blown away with the previous drummer’s musicality, “tightness”, and stage presence, which is not a common trait for indie rock drummers! Reading your article got me thinking about life, in that we sometimes get so accustomed to the goodness that is around us. That is, being too reliant on the good things in life, if that makes any sense. When we lose something good, we sometimes need separation and time to build back what we’ve lost, but we must always keep the vision and passion alive. I see that in the lead singer and have no doubts he will find what he’s lost with time and some luck. Thank you for illustrating that mindset with your article. Consider me a new fan of the band even without the old drummer!